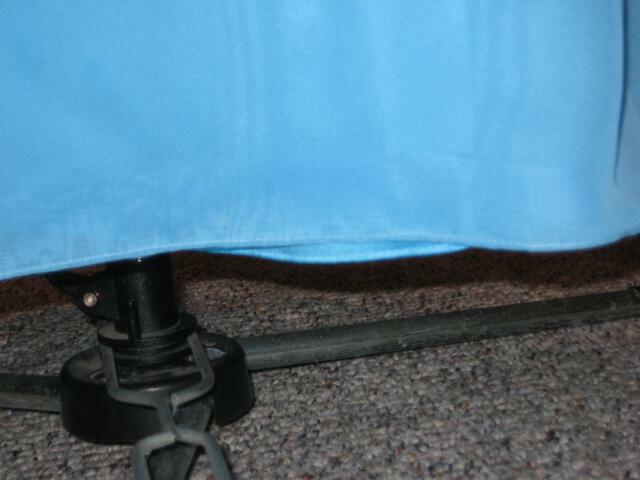 I have hemmed then before but the hems are puckered..what is your methond for hemming the outer layer. This blog post will show you the technique I use to do a narrow hem. It shows a dress made of satin, but I use the same method for all fabrics. It is not a true web page, but I think you can get the idea from the pictures and text. As for working with chiffon, it is sometimes a challenge. The good thing here is that the stitching is quite close to the edge, so that minimizes the rippling. I use a smaller needle, maybe a size 9. It pierces the fabric with a smaller hole so it doesn't create snags. The needle will go between the threads, instead of trying to break them. Also, make the lining (inside) layer a good 1"-2" shorter than the chiffon. I pin the chiffon on the client at 1"-1¼" from the floor. I pin the lining 2"-2½" from the floor. Those dresses are usually so full that the wavy nature of the hem makes it a bit uneven. If you don't give yourself enough distance between the layers, then you get the problem described in this post and shown above. Good luck and let me know how it goes. I will post your question on the blog tonight and we'll see if you get any other insights.